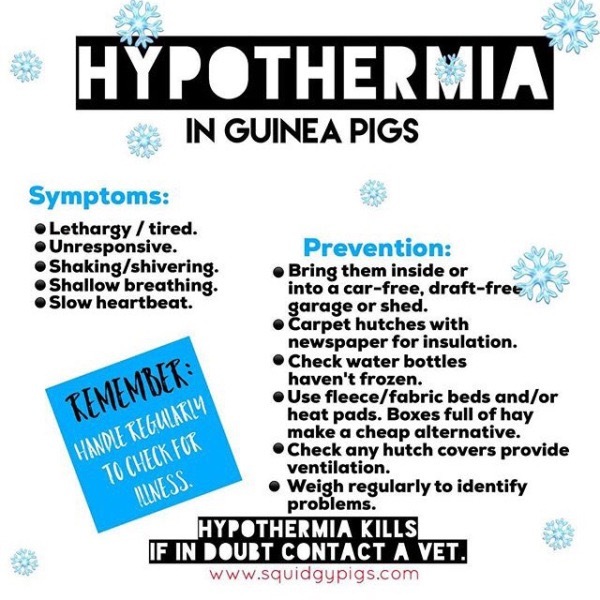 Guinea pigs can and do die each year in cold weather PLEASE bring them inside if it is at all possible. 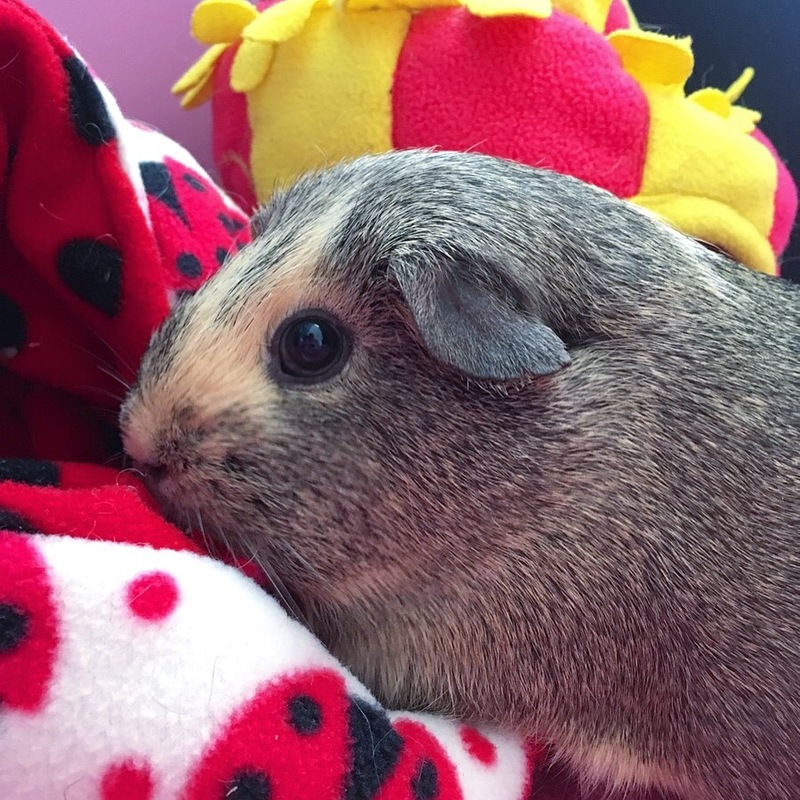 This guide is mainly for outdoor pets and assumes that other housing possibilities have been explored and that there is no other option than to keep your Guinea Pigs in an outside hutch. Guinea pigs can and do live fulfilling lives outside. By following the tips below they can survive the winter in comfort (and sometimes even style). There are tips included below that indoor piggies could benefit from. 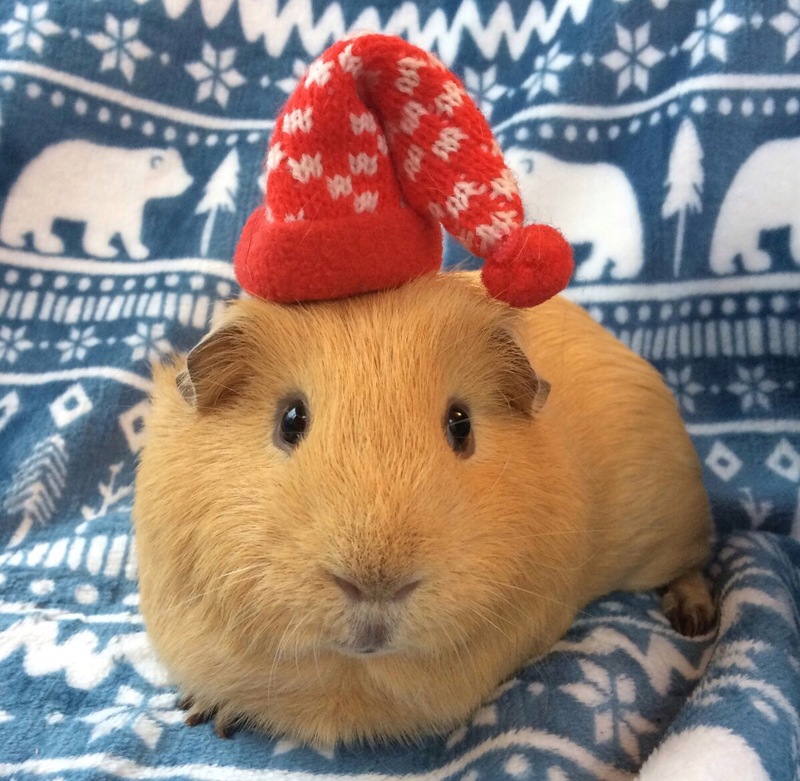 Whereas you may hear that other pets can sometimes tolerate the cold; Guinea Pigs simply cannot, and when faced with an ill equipped hutch will genuinely freeze to death. Anything under 15 degrees is considered too cold for them and can increase the risk of stress, illness and death. A thermometer can help you monitor how cool your pig’s environment is. For inside piggies; a visual nursery thermometer can be useful to detect drastic changes. 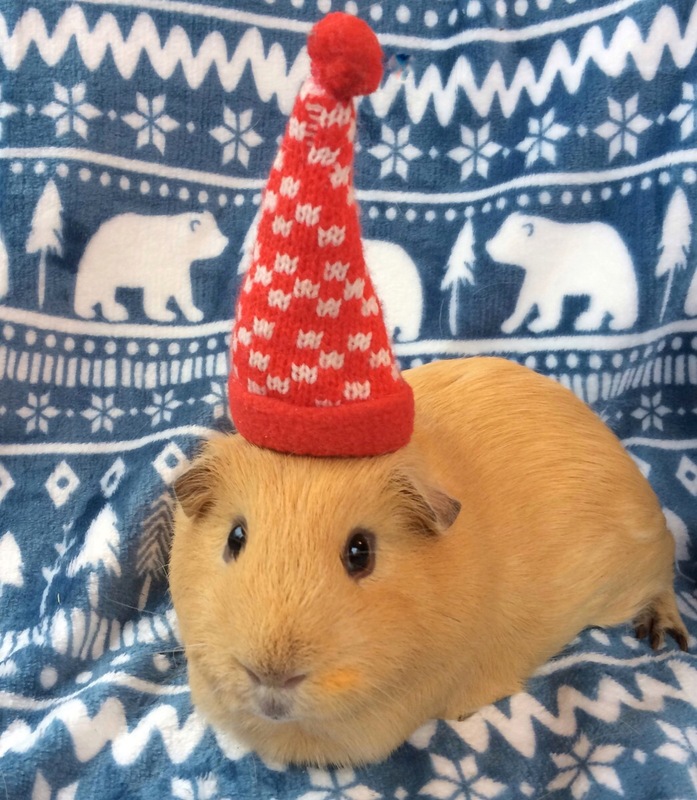 If you cannot house your Guinea pigs inside your house over winter; a secure car-free, draft-free garage or shed can be a good compromise. If a hutch is a must, then try to situate the hutch next to a sturdy fence or wall to reap the benefits of shelter. A place close to the house ensures that your Guinea Pigs get maximum attention and that they are easily accessible for monitoring during very bad weather. Check hutch regularly for dampness and drafts. Repaint with pet friendly waterproof paint/varnish before the bad weather sets in. Exhaust fumes kill; so any garage MUST be car free. Check for rat, mice, fox and badger damage, these wild predators are also cold and looking for food (mmm…piggy porkchops…err maybe not eh?). Fleecey beds keep piggies warm and snuggly. Line the bottom of the hutch with multiple sheets of newspaper or vet bed / pet fleece . A layer of Fitch or Megazorb over the newspaper will help wick pig pee away. Although straw is good for insulation; it is generally regarded as being too hard for Guinea pigs and can cause eye-poke injuries. Extra hay however is essential, fill the sleeping compartment with as much hay as possible. Adding hay filled cardboard boxes, tunnels or toys helps keep your piggies warm, whilst also making them feel secure. Chewing the boxes, toys or tunnels will also give your pet an important boredom breaking activity. Blankets or fabric pet beds such as those from Piggies In Blankets or Haypigs add comfort and warmth, but can be harder to keep clean outside. Well made beds (like the ones mentioned above) maintain their colour, shape and structure after many washes. A SnuggleSafe Heatpad can be added in the bed area to help keep your piggies warm. Carpet or blanket could be laid over the hutch for extra warmth but ensure this does not block ventilation. Specialised Hutch Covers are also available but can cause condensation dampness if left on too long, so do monitor regularly. 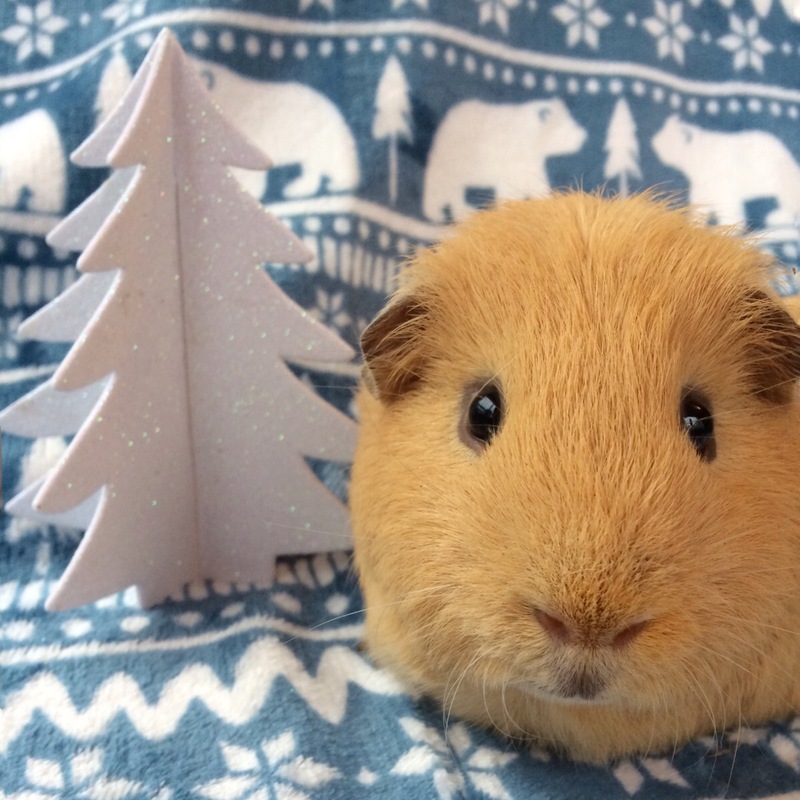 You may discover your Guinea Pig requires more Guinea Pig Food in the winter. Regular weighing will ensure you notice any weight loss. Not eating is a sign of illness and means your Guinea Pig should probably see a vet. Check water bottles at least twice a day to ensure the water hasn’t frozen. Specialised Water Bottle Covers are also available (an old sock, glove or bubble wrap could also work) but you must still check for freezing. A SnuggleSafe Heatpad under a water bowl may prevent freezing, I also believe that a ceramic bowl holds heat longer than any other materials. Guinea Pigs NEVER hibernate. If your Guinea Pig shows any such signs get them to a vet ASAP. URIs are a risk in damp weather. Handle your piggies daily to check for signs of ill health and injury (as well as strengthening your bond with your pet of course…). Guinea pigs don’t regularly catch colds like humans. If your piggies look lethargic, or have signs of illness please get them to a vet ASAP. What steps have you taken to keep your pets warm this winter? Please feel free to share any tips below in the comments section. 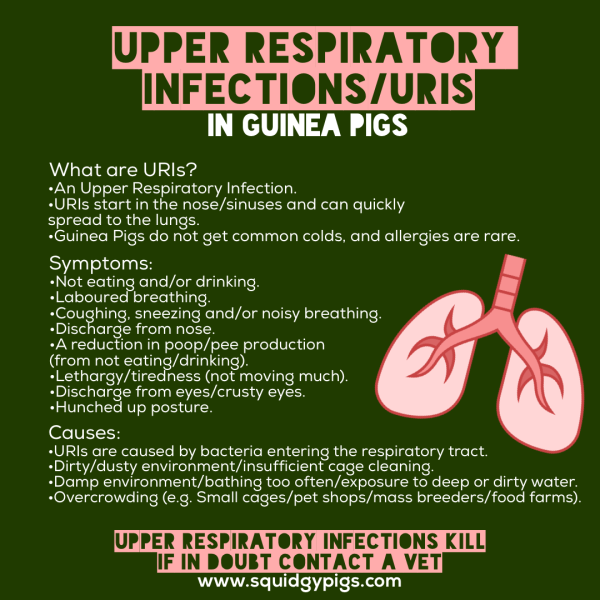 Squidgypigs – Can Guinea Pigs Eat Grapes?